A solid-state power plant that gets a nod from Metallica's prolific guitar guru. 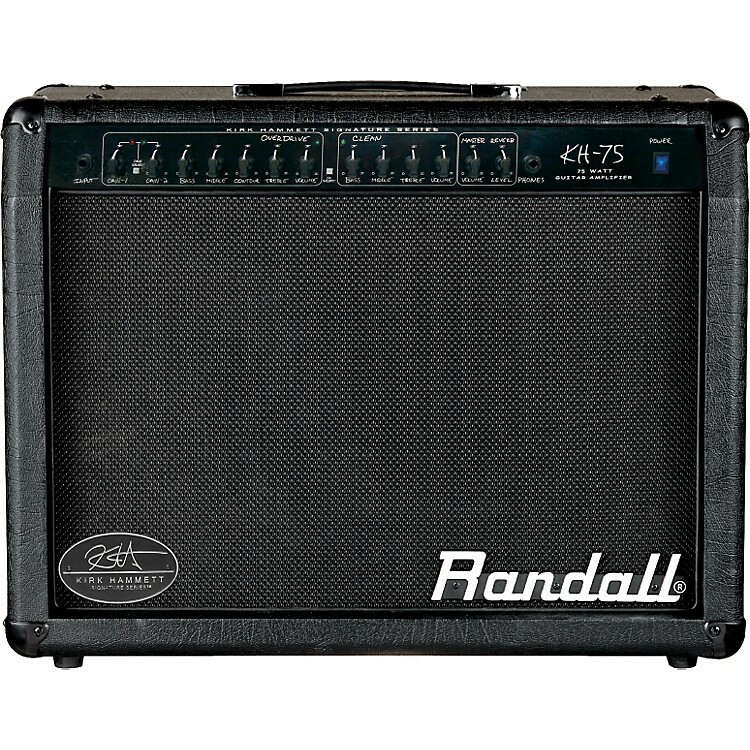 The 75W Randall Kirk Hammett KH75 Combo Amp is perfect for the serious up-and-comer. The KH75 offers 2 channels with 3 modes: Channel 1 Hammett Clean, Channel 2 Hammett Rhythm, and Channel 3 Hammett Lead. The Randall Kirk Hammett amp also boasts spring reverb, an effects loop, a Tape/CD input, and a footswitch. Built using the same tone circuit as Kirk's MTS head, the new Randall KH75 combo includes a Celestion Seventy 80 speaker. Use the KH75 amp to create your own individual rock 'n' roll sound, thanks to the included EQ controls. Dial in that perfect tone with the Bass, Middle, Treble, and Contour controls. Kirk made it very clear from the start that he wanted to develop a full line of amplifiers to provide fans at any budget level with his signature tone. And the Randall Kirk Hammett KH75 Amp proves that he was true to his word. The KH75 is the perfect practice amp for both the professional and beginning guitarist.